I'm still not entirely persuaded that this wasn't a planned stunt. Like last week's to-do about the 4G-equipped iPhone that some Apple engineer, ahem, "drunkenly" left in a bar. Sure got the Intertubes abuzz about it, aye? So yeah, mark me down as being in the "planned marketing conspiracy" column on that one. Nearly a full quarter-century earlier, something similar happened to another American mega corporation. That time it was The Coca-Cola Company. On April 23rd 1985, executives announced that the original, world-famous Coca-Cola formula was being retired. Seems that the "old Coke" wasn't cutting it anymore in the "cola wars" between Coca-Cola and Pepsi. So the time-honored Coca Cola was to be put to pasture. In its place we would be getting something called "New Coke". "Better than ever"?? I still remember the one time that I tried to drink New Coke. It tasted like crap! What were you thinking, Bill?! We trusted you! And Coca-Cola betrayed us! No Jell-O Pudding for you. With a wrathful vehemence not seen since the Cabbage Patch Kid riots of '83, Coca-Cola found itself besieged with angry phone calls, letters and organized protests. Three months later then-CEO Roberto Goizueta announced - via a televised spot with all the gravitas of an Oval Office address - that the crisis was ending: the old Coca-Cola was coming back as "Coca-Cola Classic". And within days of hitting shelves again for the first time, sales of original Coca-Cola soared. Coca-Cola Classic fast eclipsed sales of Pepsi. To this day, Coca-Cola remains the best-selling soft drink in the world. How could it not have? By that point in the summer of 1985 Coca-Cola dominated much of the pop cultural discussion, both here and abroad. People were talking about Coke like they had never talked about it before. New Coke by itself was a business failure... but New Coke did make people want the original Coke like never before. New Coke pulled off what had never been done on this large a scale before: it created genuine demand for something that was already so successful it didn't need demand. 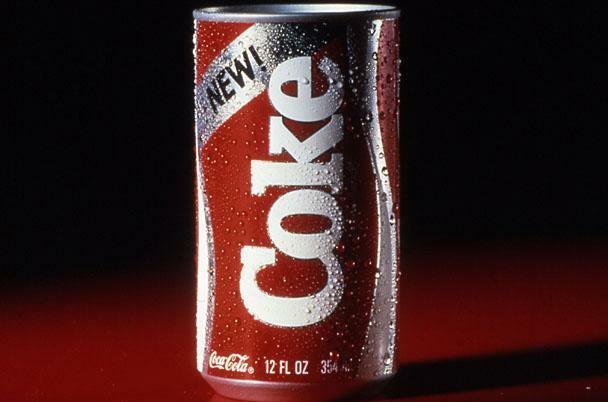 If you want to know more about New Coke, which we got ambushed with twenty-five years ago this week, the Atlanta Journal-Constitution has a good write-up about it, including how Coca-Cola is now chronicling the New Coke episode at the World of Coca-Cola. Thanks a lot Chris for reminding me of something I wanted to forget! New Coke: it tasted like Pepsi set out in the sun for a week. It was part marketing stunt and part deception. My grandmother drank several bottles of Coke a day. She hated New Coke, and when Coke "Classic" came back she swore it wasn't the same. We all thought she was crazy until just a few years ago when we found out that was when they made the switch from sugar to high fructose corn syrup. Most people were so glad to have the "old" stuff back they didn't even realize it.